I knew in August 1988, when I left Africa after six months of traveling and being an occasional student (a phrase I took VERY literally) at the University of Zimbabwe, that I would be back. I am a bit surprised that it took almost 30 years but unsurprised that I return with Denise Scheer and John Musick. Denise was my roommate at the U of Z, and she and her husband, John, are the most socially conscious and justice committed people I know. Since the early part of this millennium, they first have been working with a group of Lost Boys from Sudan on mission and community development work in Juba, now the capital of South Sudan, and the areas around there. And since the civil war began a few years back, they have been coming to Adjumani to work with Sudanese refugees. Fast-forward to January — where the start of our trip was delayed by John and Denise having passports that expire within six months — a no-no when entering Uganda. Thanks to a little extra cash and a kind person at the passport bureau, we arrived in Uganda at 11 p.m. Wednesday — exactly one day late. We stayed at a classic African guest house, complete with mosquito netting over the beds. After a delightful breakfast of omelets and a pineapple pancake, we set off in a land cruiser from Entebbe to Adjumani, on the northern border next to South Sudan. 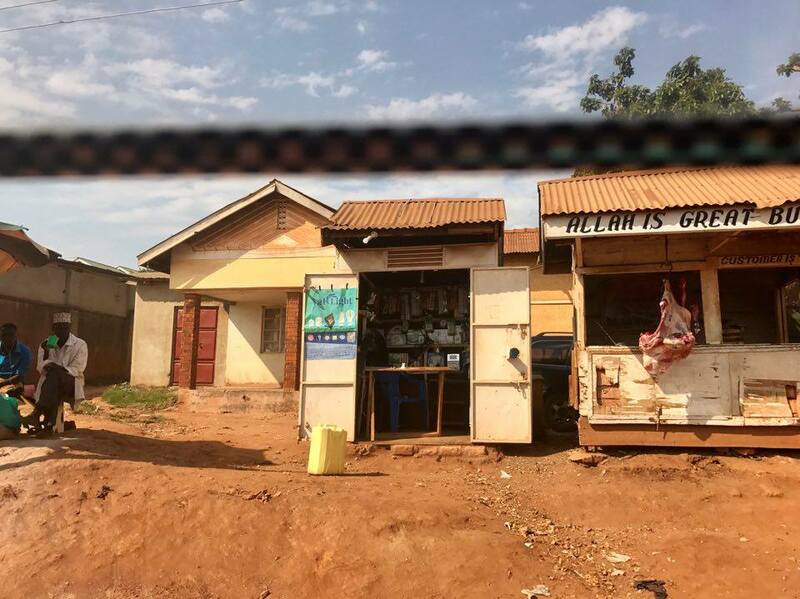 The trip through Kampala was slow — traffic was at a standstill with motorcycles darting in and out and goats, chickens and people wandering all around. I needed to watch my iPhone lest it be ripped out as I took a photo through an open window. Kampala is safe but struggles with the same issues that surround impoverished cities in developing countries. Once we got out of town, the roads that recently have been paved, likely by the Chinese who are buying the hearts and minds of much of Africa through infrastructure development, allowed for faster traffic. Of course, the concerns of drivers, including our own, who pass on hills and corners, remains, but Africa is not for the faint-hearted. As we drove north, it got hotter and drier. The Nile still flowed strong — we passed it at an area where there were countless baboons. Again, I was warned to keep the windows shut as they reach in and grab things. I once had a baboon throw mangoes at me and steal a friend’s camera when camping by Lake Kariba in Zimbabwe, so I was prepared. In some areas in Uganda, rivers have been reduced to a trickle because of climate change. But once we turned down the dirt road to Adjumani, the effects of climate change were apparent. Rivers that had previously run rapidly were reduced to a trickle, and places that were swamps or marshes were bone dry. As I passed a child with a distended belly, I also saw its effect on the people. Uganda is on the brink of a famine if the rains don’t come this season. We arrived in Adjumani just after 6:30 p.m. — 9½ hours after leaving our guest house. Our driver ate a quick meal, rested an hour and set off back the 9½ hours to Kampala to work again tomorrow morning. There is no time for rest in his life, as he tries to provide with his wife and 3-year-old son. As we settled in the night, I unpacked for my two-week stay, clothes in one drawer, my extra food in a suitcase (being diabetic I need to make sure I have protein and goat gets old fast) and my medications for a variety of possibilities in a backpack. As medicine is scarce, you need to come prepared. When I picked up medication for lice, scabies, travelers diarrhea, a UTI and malaria medication, I wondered if the pharmacist would use a glove to hand it all to me! Our guest hotel is filled — with folks from a variety of NGO’s (charitable places like Lutheran World Relief and Save the Children). The rooms are simple but clean, and the electricity works most of the time during the day. They have air conditioning, but it drains the system, so we aren’t supposed to use it, even with a temp of 105 today. I am ready for a solid sleep as we meet with the Office of the Prime Minister tomorrow to get approval to enter the camps and begin our work — with women and with pastor — bringing the Word and doing trauma healing. Tonight, we met with the pastor who will “vouch” for us. He is so thrilled we will focus on trauma for the pastors. He said you can’t feed people if you haven’t eaten, and you can’t eat if you are too tense. So our job will be to help them learn how to release that tension and care for the tens and hundreds of thousand victims of the war in the Sudan. As for now, it is time to turn off the lights, get the mosquito netting tightened and dream those vivid malaria dreams.